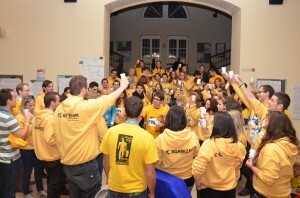 Autumn Agora Budapest, members of AEGEE-Budapest have proven on various occasions their role as one of the most integral parts of the AEGEE Network – a lively group of enthusiastic activists from the capital city of Hungary. Now, with the Christmas period approaching, let us settle back in a nostalgic mood, reminiscing about the Autumn Agora and how AEGEE-Budapest has been – a very well-deserved acknowledgement! – selected as the Local of the Month for November. The antenna has come a long way since its foundation in 1990, being the first AEGEE local founded in the eastern region and organising the very first General Assembly of the Association behind the “iron curtain” in 1991. Back then, the political turmoil of the region had posed a stern challenge on the development of a student organization representing the (back then condemned) western ideals and European integration. Yet, today the local is blooming and is changing lives of young Hungarians – who choose to be a part of this Network of progressive thinkers and thus bring a new perspective into their nations’ chaotic political disputes that have been carried out recently. 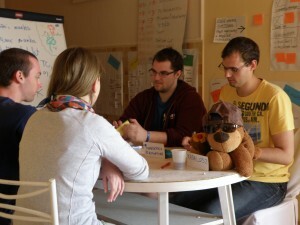 Internationally, it was the Human Resources European School in 2010 and the YVote project in 2009. Both of them were quite successful, and they also indicated that we are ready to organise something bigger for the network! Locally, we are proud to be the third biggest local among the AEGEE antennae, and luckily we could keep that position in the last years. On the top of the previously mentioned achievements we are also very happy that we have enthusiastic members, thanks to whose fresh ideas the work of AEGEE-Budapest is improving year by year. 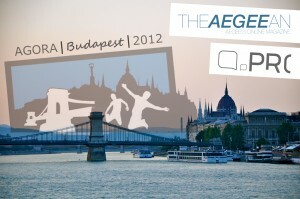 The AEGEEan: Certainly, the Network wants to know when they can visit Budapest again; what are some of the upcoming events – both international and local? Szabolcs: We applied for the Youth in Action program together with several AEGEE locals to get funds for a joint project about migration in Europe. We will get the result very soon, so we are quite excited right now! This project would take place in April for one week and would focus on minorities. Besides this international project, we are planning to launch some local projects in February. We have already done few demo events, the possible topics are participation in the election procedure (YVote), sustainability, the concept of the European Union (YOUrope needs YOU), minorities, culture (Culture Everywhere) and employment (Youth (un)Employment). We hope most of them will be able to start in the next semester, but still, we have a lot of work to do with them. The AEGEEan: We wish you the best of luck with the projects for the New Year! 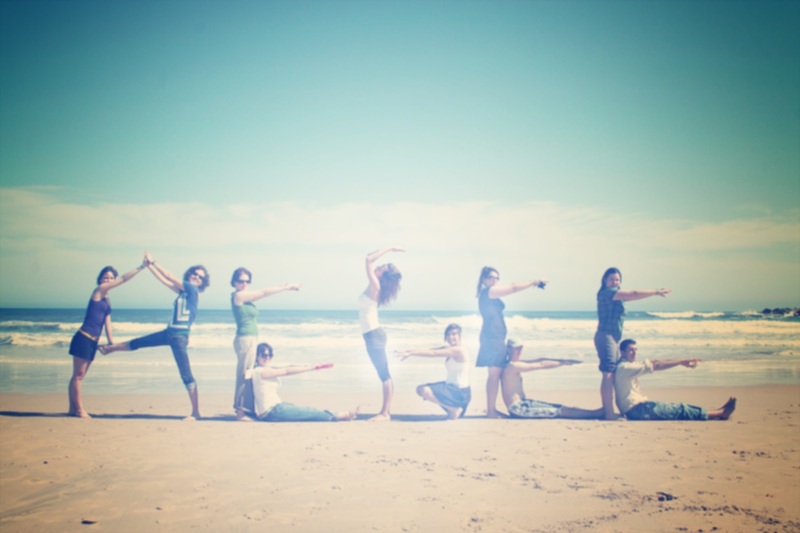 What other youth NGOs are you cooperating with and how are you planning to be more involved in youth participation on the European level? Szabolcs: AEGEE-Budapest has a lot of connections with other NGOs, is an integrated and important member organisation of FDE – Association for Higher Education Student Organisations and has had many common projects so far. The most important was the one during the Hungarian Presidency of the Council of the European Union, where first steps for the establishment of a Youth Council were made. Last weekend, the official founding document of the Hungarian Youth Council was ratified and thus AEGEE-Budapest became a founding organisation along with AEGEE-Debrecen and FDE. On the local level AEGEE-Budapest is also a member of the Youth Council of Budapest and has good relations with the Hungarian Representation of the European Commission. With these platforms, AEGEE-Budapest has access to a wide network, which is a basis for cooperation and effective youth representation on the national and European level – says Tamás Keller (AEGEE-Budapest, National Youth Council delegate of FDE). Concluding, with everything what we have learnt about the local, let us go back to our memories from the most popular Agora in the history of AEGEE, and the faces behind organising it. A small interview with the Agora Core Team. The AEGEEan: What does the Agora mean to you? Demeter Márton, Main Coordinator: Every minute of my everyday life for 15 months. The greatest challenge, achievement and adventure of my life! A great project with a great team – I would do it all over again! Gergely Enikő, Vice Coordinator: A dream came true. I am glad I could be a part of it and even more to be a part of this team! We shared a lot of success, failures, adventures – which I will never forget! Lehota Zsófi, Event Manager: A list of words that could best describe the feeling would be: big dreams, unfailing enthusiasm, courage, all the little things, mistakes to learn from, long night meetings, ideas, excellent team work, fun, great success, satisfaction, professional development etc. Thanks to all of you! Papp Roland, HR Responsible: For me the AGORA was a task, a hobby, a job, a challenge, an event, an experience, a dream that I can be proud of. Something we can all be proud of! Szabadics Gergely, Catering Responsible: An experience I would never trade for anything and a team I would gladly start it over again, any time! Sztanev Bianka, PR Responsible: An opportunity for me to experience working in a team full of people whom I had not known before but working on something that really interests me. Pauza Diána, Incoming Responsible: The biggest and the most complex project of my life, which I will not remember for the whole year of hard work and continuous issues to solve, but for the amazing team of friends we had – nothing is impossible for us! Kalamár Gergő, Logistics Responsible: An event that could only happen with the help of many many enthusiastic organisers running around and making all the participants happy and content. Kárpáti Dániel, Financial Responsible: A lot of happy people: from the thankful participants to the partying Spanish people (and everyone else), from the touched look on the JC’s faces after receiving the Tokaji wine to the lovely cleaning lady. It was pretty awesome. ← What Does the Future Hold for the EU Education and Youth Programmes?